AbraxSys industrial computers allow unlimited computer system options and unmatched reliability features. Utilizing fast access hard drives, long-life power supplies, and the highest grade components, our industrial computers offer the lowest failure rate of any computer in its class. You can count on AbraxSys' rugged computer designs and quality computer components . AbraxSys rugged line of industrial panel pc computers and workstations ideal for HMI use. AbraxSys' innovative, industrial PC systems and, as applicable, are configured with various integrated touch screen technologies. 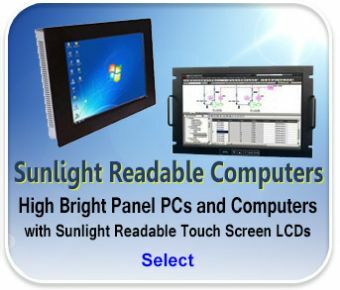 As for the compact, panel-mounted industrial panel pc models, each contains a host of features that make them ideally suited for use as an operator panel or as a secure system platform for machine control (human machine interface - HMI). Operator Interface Systems for General Industry, Pharmaceutical, Food, Clean Room, Packaging, Transportation, and more. Our industrial PCs and industrial rackmount computers incorporate the latest industrial grade components such as long-life SBC's (Single Board Computers) and backplane combinations to provide the ultimate expansion capabilities. 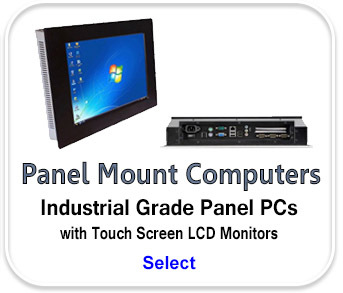 Our industrial pc and industrial rackmount computers utilize industrial grade long-life motherboards, which provide flexible expansion capabilities in a cost effective, highly reliable solution. Our industrial computers are designed to provide years of trouble-free operation. All our industrial PC and industrial computers go through a rigorous quality control process to ensure each computer is delivered fully functional.